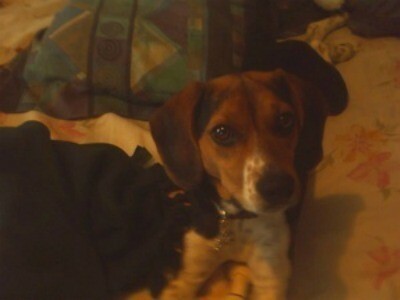 Queenie is a 6 month old Beagle. My boyfriend went to get her in West Virginia, qbout a month ago. She likes to play with her animals, and is afraid of everything. I have a beagle too. They are the sweetest dogs. Mine is a real baby. He makes life more interesting. I see yours is a beauty. Queenie is regal name for a beagle. Sorry I could not stop myself. She is very pretty and looks sweet.